That’s a name you probably haven’t ever heard of. If so, I strongly recommend you key it into Google or Amazon and get hold of one of her albums. She has the greatest voice in the whole of Italy. Deep, smoky and mellow, but is virtually unheard outside her home country. And hers is the voice behind the Italian commercials for the new FIAT Bravo. 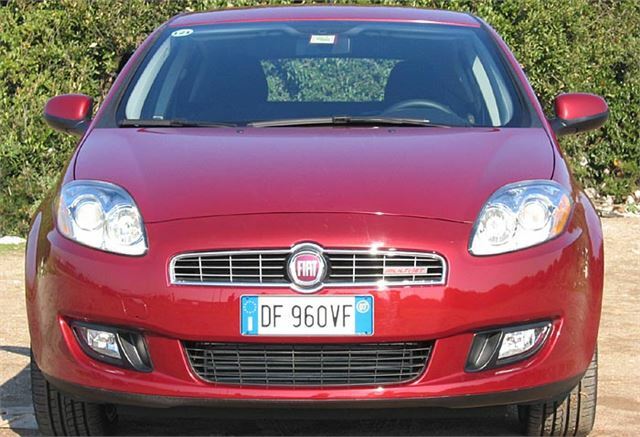 To begin his presentation, FIAT boss Luca de Meo explained that according to his research the main customer expectation from FIAT is style, at 37%. Quality came in at 16%. 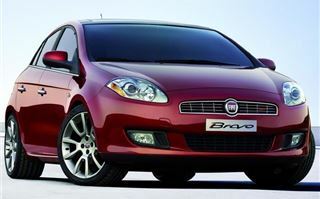 Because the new FIAT Bravo, developed in just 18 months from conception to launch, is a triumph of style over substance. 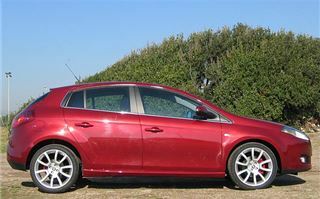 It’s a beautiful looking car, putting everything else in its class to shame apart from the Honda Civic, which takes style in a completely different direction. 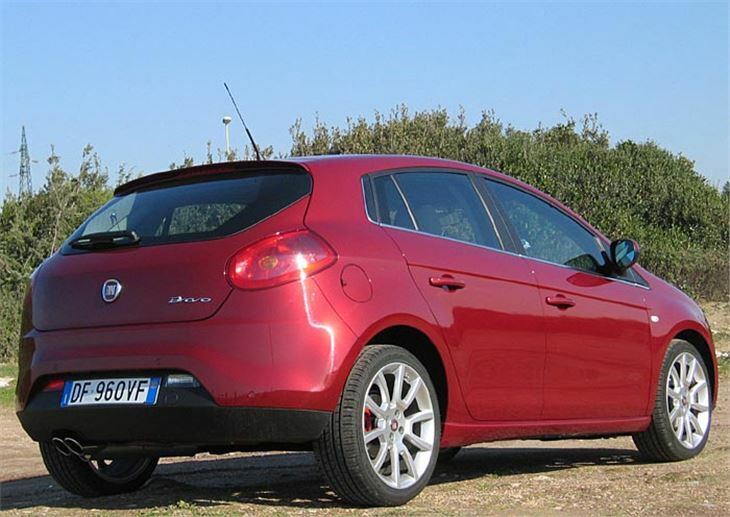 The new Bravo has the Maserati coupe look of the Grande Punto, but more so, with a low front and a steeply raked window line to pertly rounded rump. A cheer, then, for the styling. FIAT has embraced some impressive new Microsoft technology called Blue&Me that mixes Bluetooth hands-free phone, entertainment, information, satellite navigation and telematics in a low priced package that outperforms and beats aftermarket kit, and is readily upgradeable with updated mapping. There’s even a USB port to facilitate this. Much hand-clapping ensued. So why was I less than impressed by the car? Well, Italian superboss Luca de Montezemelo was partly responsible by beginning his short speech with an ‘apology’ to the effect he “wore so many hats” he did not have more time to spend with the 1,500 or so delegates from as far afield as Venezuela and would be leaving immediately afterwards. Would I buy a car from a man who was too important to sell it to me? Or was the car not important enough for him to sell it to me? Then on to the Bravo itself which, to drive, is frankly disappointing. 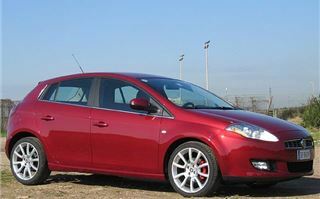 We seem to have got a Sport 150 Multijet fitted with optional 18” alloy wheels and 225/40 tyres. Seat comfort and range of seat and steering wheel adjustment are fine. 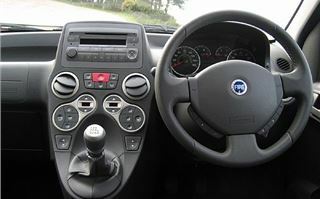 There was nothing wrong with the quality of plastics and interior upholstery, including the ‘carbon look’ fascia band, though the leather covered parking brake lever was already rubbing its leather against the edge of its aperture. The fascia doesn’t reflect in the steeply raked screen. But, like the Alfa Brera, the ‘Sports instrument graphics’ on the speedo and rev counter make them difficult to read in strong daytime sunshine. I’d never actually driven a Stilo, which contributed its underpinnings to the new car. But if that’s what a Stilo was like I can fully understand its lack of success. The chassis has no brio at all. Steering is light, feel-free and unresponsive. The gearchange is slow and cumbersome. The 150PS diesel engine we drove felt like it had 120PS. The ride quality on 18” wheels with 40 section tyres was terrible. It may have been developed in record time by computer, but the reality is a beautiful body clothing a very ordinary car. 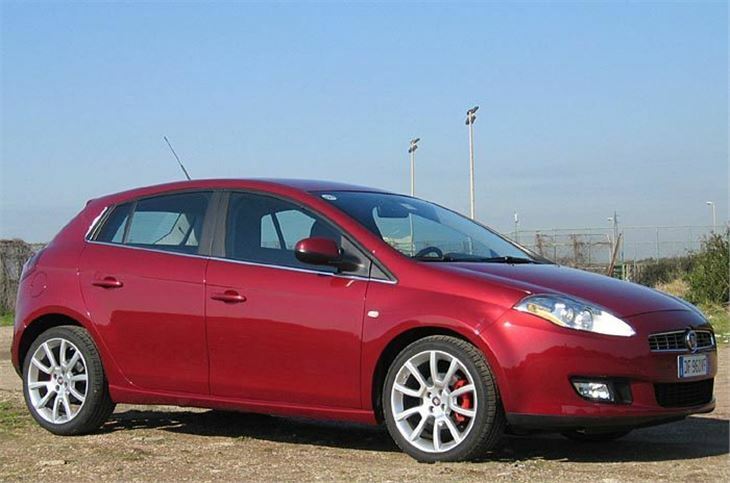 Later, there will be automated clutch, and a full automatic in 2008. 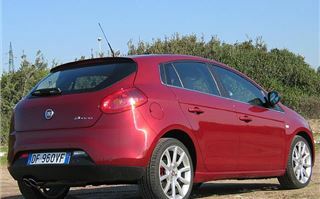 On the road prices in Italy start at 14,900, rising to 22,800 for a Sport model. 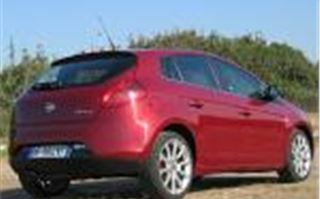 A five star NCAP rating is expected. Small practicalities include headlights you can at least change the bulbs of very easily. 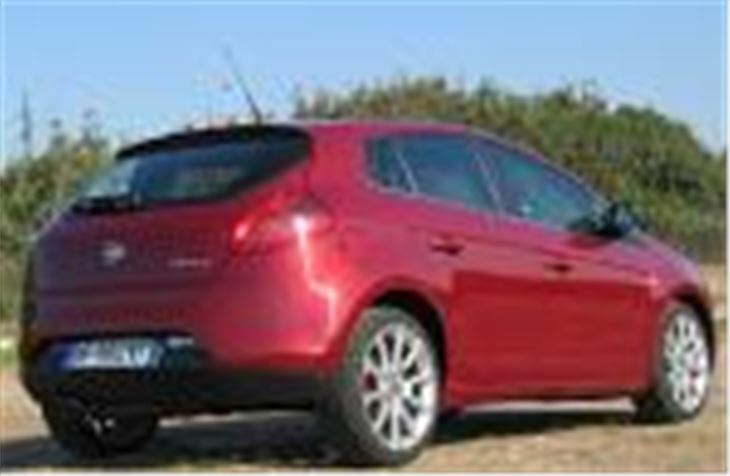 But on the strength of the one car we drove, either it needs more work or they need to ditch the 18” wheels option. Hopefully FIAT will be able to get this sorted by the time the Bravo reaches the UK.